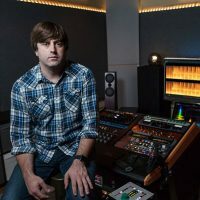 All mastering techniques aside, mastering has gotten rather complex in the last 10 to 15 years when it comes to outputting final master files for all potential release formats. In the 90’s, vinyl and cassette sales were nearly non-existent compared to previous and future decades (who would have guessed? ), and the Internet was far too primitive to be considered a means of professional or legitimate music distribution. This meant that the mastering engineer’s primary focus in the 90’s was the compact disc, and pretty much only the compact disc. Back in the day, there was a clear divide between a recording/mixing studio and a dedicated mastering studio. When the loudness war was in its early stages, you pretty much had to use a dedicated mastering engineer to avoid having a weak and quiet sounding master compared to professionally mastered albums. The tools needed to enter the loudness war (and most mastering tools in general) were not easily accessible or practical for a recording/mix engineer to own in most cases. These days, it’s extremely easy to obtain the tools needed to create your own masters if you have the confidence, knowledge, and skills, using nothing more than a computer and the right plugins/software. I don’t necessarily advise it, but it’s certainly possible, which is pretty remarkable when you think about how things were 20 years ago. People were still making vinyl in the 90’s but since the loudness war wasn’t too extreme for the majority of the 90’s, a lot of compact disc masters translated well enough to vinyl to call it good. I think the digital loudness war prompted mastering engineers to make special vinyl pre-masters because loud digital masters are usually far too loud to be considered “vinyl friendly”. I’ll explain that in more depth later in this article. Napster and other peer-to-peer file sharing services popped up around 1999, but nobody was considering Napster’s technical limitations when mastering an album. Internet bandwidth was still a major limitation for uploading and downloading larger files. I believe that’s why the bar was set so low for compressed/lossy file formats to begin with. These days, most broadband and even LTE cellular data connections can comfortably stream 320kbps audio, and downloading full WAV files of an album is generally a quick process. Many Internet providers in the US still tend to skew upload speeds to be noticeably slower than download speeds though which is annoying for those that do more uploading than downloading. In 2003 the iTunes Store launched, but again, mastering for compact disc was the mastering engineer’s primary focus, and digital distribution was more of an afterthought. It’s hard to say when, but sometime around 2009 I started noticing people caring specifically about the master files that were submitted for online distribution, and how they might differ from the “normal” CD master. I think what expedited this is when people largely stopped actually listening to CDs and merely imported the CD into their iTunes library and never again touched the actual CD. In recent years, mastering for digital distribution has been broken down even more, as you can optimize master files for each retailer if you really want to get technical. Unfortunately, as it sits now, the same master WAV file you submit to CD Baby/Tunecare/Orchard etc. 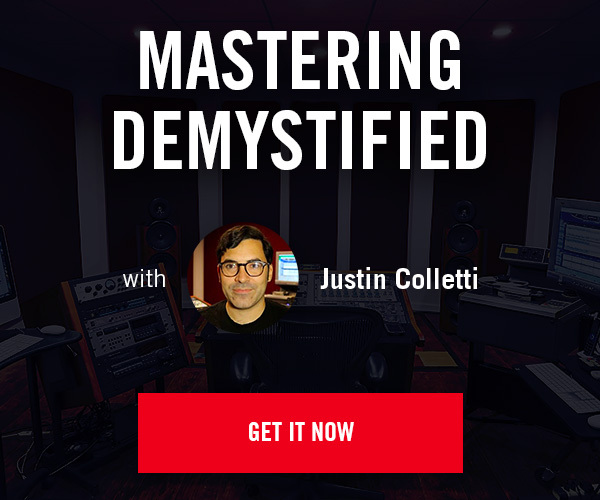 will be used for the standard iTunes release (not to be confused with Mastered For iTunes), Amazon, Google Play, Spotify and all others so you really have to pick your battles about how to optimize your masters. It’s honestly kind of a mess, but it’s a good mess and it’s worth understanding if you are a mastering engineer, or the last person in charge of master files for a project (mastering engineer by proxy). Although its complicated my job a little bit, I’m a fan of websites like Bandcamp and SoundCloud because they accept higher resolution master files than the 16-bit/44.1k WAV files that are needed for most of the bigger retailers and streaming services at this time. There is a special program known as Mastered For iTunes. I admit that when I first heard about Mastered For iTunes, it sounded like a somewhat of a gimmick. It is not a gimmick. I do think that people over-think what it entails though. It doesn’t involve any special EQ techniques, or any wild changes from the basic mastering. The purchaser of your music still receives the same 256kbps AAC file from the iTunes Store that they’d get from any normal iTunes release that isn’t Mastered For iTunes. The difference is that the master WAV file submitted to the digital distributor for iTunes sales is a 24-bit WAV file at the same sample rate and bit depth as the mastering session (often higher than 44.1k). That WAV file has been tested by the mastering engineer through the same encoder (iTunes+ Codec) that the WAV file will eventually pass through before it’s for sale in the iTunes Store to be sure it qualifies to be a Mastered For iTunes master. It also future-proofs your master files because as many people have speculated, Apple and other digital distributors may eventually offer high resolution downloads of purchased music and if you have already submitted your masters in this format for Mastered For iTunes, you’re likely good to go already. The main thing a mastering engineer is looking for when “Mastering For iTunes” is that after the encoding, there are no digital overs or clipping present in the encoded file. What some people don’t realize is that encoding a WAV to mp3, AAC, and other compressed formats will change (increase) the peak levels of an audio file. This can be problematic when working with a mastered file that is regularly hitting or very near 0dBFS (also known as the digital ceiling), as most modern digital masters do. The most common way to avoid overs/clipping after lossy conversion is to lower the output ceiling of your final limiter. Some limiters have features built in such as oversampling or intersample peak detection to help prevent overs from occurring when they are converted to a lossy format but you still must double check your files to be sure. All this results in an arguably better and clearer sounding file for the end user. The results are not always night and day, but it’s something worth doing in my opinion. You must be on Apple’s list of approved Mastered For iTunes mastering studios to be able to submit Mastered For iTunes master files. I hope this changes, but as of this writing, an artist or record company must setup a separate digital release for the Mastered For iTunes version in addition to the basic digital distribution release for all other digital retailers, resulting in more upfront costs. Apple was smart to get ahead of the curve and come up with the Mastered For iTunes program, and I’m surprised none of the other digital retailers and streaming services haven’t followed suit, because it is effective. When CDs were king, the unofficial standard was to set your limiter’s output ceiling to -0.2dB to leave a little headroom for cheap digital to analog converters of the day, and to not sound like total garbage and produce easily audible distortion. To avoid overs and clipping on lossy formats, you may have to lower your limiter’s output ceiling as much as a full decibel depending on the material, how loud you are trying to push it, the target encoded bit-rate, and the settings and features on your specific limiter. For example, if you set your limiter’s output ceiling to -0.5dB and render a master WAV file, it may not contain any overs when converted to a 320kbps mp3, but may contain lots of overs when converted to 128kbps mp3. It’s really a trial and error process but tools like Sonnox ProCodec have made it so much easier to analyze and optimize masters for various codecs. You have to consider the target codec bit-rate when thinking about how much to lower your output ceiling. This is where it can get extremely convoluted. A master WAV that works for one digital retailer’s file specs may not work for another. For example, SoundCloud only streams at 128kbps. SoundCloud accepts 24-bit/native sample rate master files just like Bandcamp does, but with Bandcamp, the customer can choose to download mp3 files higher than 128kbps and a variety of other formats. This opens up a can of worms as far as how to set your limiter’s output ceiling and what to test for. Again, you have to pick your battles and can’t win them all unless you go to extremes with reducing your output ceiling levels. There may come a time when extreme loudness isn’t a priority anymore with digital audio, and digital masters reach nowhere near 0dBFS. Aside from bringing dynamics and breathing room back to music, this would greatly simplify the issues caused by various lossy encoders because any changes in peak levels for the codec would not endanger the loudest peaks hitting or exceeding 0dBFS. I’m already seeing a slight downward trend in loudness, and streaming services normalizing to a certain level is making the loudness war less relevant. Speaking of loudness and ceilings, one main part of my job as a mastering engineer is communicating with the client to get the best possible files to master from. I personally believe the best file for mastering from is a 32-bit float WAV at the same sample rate as the mixing session, with no digital limiting or clipping applied. I’ve had people send me all kinds of inappropriate files to master from such as mp3, WMA files, Logic Pro sessions, a physical CD that was already mastered years ago and WAV files that are already as loud or louder than I would have mastered them. I don’t discourage mix engineers from adding EQ or compression to their master fader/2-buss but once the peak levels start hitting 0dBFS or even clipping, it really paints the mastering engineer in a corner. There’s really nowhere to go from there. I’ve had to reject files or turn away projects because they couldn’t deliver mix files that had any headroom left to work with loudness-wise. The point here is if you’re going to send a project to a mastering engineer, don’t use limiting and clipping for the sake of loudness. Leave this to the mastering engineer, especially if you want them to use their analog equipment. If you’re attached to the limiting, clipping, or extreme processing that may have applied to your mixes, I recommend sending that version as well as a version without the loudness processing and let the the mastering engineer decide which to work from. In these cases, I normally work with the version that doesn’t have limiting/loudness processing applied, but having the mix engineers “rough mastered” version helps me understand what the client is used to hearing and provides an idea of what to shoot for. I have had some projects where the files are so loud and maxed out that all I could do is put the album in sequence, enter the CD-Text/Metadata and render the master files. There was no room or need to do anything else. In these cases, I asked not to be credited for mastering because I had nothing to do with the sound of the album. I could write an entire article about this topic but the bottom line is that if you plan to hire a mastering engineer, leave them some room to work with. It’s in the best interest of both parties. I read a lot of audio forums and people frequently mention that they’re mastering in Logic, or Cubase, Pro Tools etc. That’s fine, you can do the sonic aspect of mastering in any DAW really, but I highly recommend using a specialized mastering DAW/audio editor for the final sequencing and rendering various master files. I personally use Pro Tools for phase one of my mastering process and run unmastered material through my analog mastering chain. I usually apply some plugins to the audio before it hits my analog chain but not always. For phase two of the mastering process I use WaveLab, a dedicated mastering application. With something like WaveLab, you can easily sequence the album, add track markers and all the CD-Text/metadata and then render all your master file formats. I apply a final digital limiter and dither in WaveLab as well as any subtle EQ tweaks or slight adjustments in levels of a certain song or portion of a song, but any major changes to a song or song(s) usually requires reprinting through the analog gear. I like the hybrid analog/digital workflow that I have set up. There are lots of great sounding plugins available these days but I haven’t found anything yet that rivals gently or moderately clipping the input of my Crane Song HEDD A/D converter to achieve loudness and generate harmonic distortion, especially for more aggressive sounding music. I’m sure I’ll be mastering all in the box someday but now is not the time for me. Once I have each song for a project printed through my analog chain back into Pro Tools, cleaned up, properly trimmed and named, I then load the files into WaveLab and finalize the project. I chose Pro Tools for the first step in my mastering workflow only because I spent 10+ years as an engineer/producer using Pro Tools so I can edit and trim files very quickly in Pro Tools. I also really like the playlist feature in Pro Tools for quickly reverting to previous untouched versions of a file, or different variations of a file. Also, the AudioSuite function is great for doing spot processing operations such as noise reduction, click removal, and other repair work. Using the AudioSuite version of iZotope RX5 in Pro Tools for this type of work is very powerful and WaveLab doesn’t quite have the same workflow possibilities as Pro Tools does regarding playlists and AudioSuite. 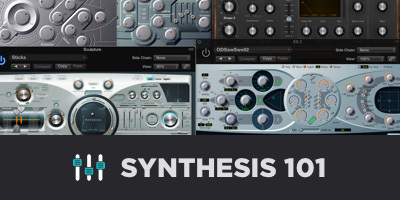 With all the various tweaks and specs needed for different release formats, your life will be easier if you are using a mastering DAW that is designed to sequence an album and spit out a variety of formats such as DDP, 16-bit/44.1k WAV, 24-bit/native sample rate WAV, reference mp3s, and special vinyl and cassette pre-masters while keeping the things that need to have cohesion intact between all formats, like spacing between songs and CD-Text/Metadata. Much like converting a WAV to mp3, changing the sample rate of a WAV file such as converting a 96k WAV to 44.1k WAV can increase the peak levels ever so slightly. Again, this is usually only a potential problem on material that is extremely close to the digital ceiling. A WAV file with a maximum peak value of -0.2dB could actually have peak levels higher than 0dBFS after sample rate conversion is applied depending on the variables. This is another reason to use a dedicated mastering DAW that can easily handle all sample rate conversions before your final limiter where you typically set the final output ceiling to your liking. Doing the sample rate conversion before the final limiter helps maintain your final output level. I personally use 3rd party software for sample rate conversions. Typically speaking, most DAWs and even some dedicated mastering software do not have what is considered “mastering grade” sample rate conversion. I normally prefer the transparent processing of Weiss Saracon for sample rate conversion but some other good options are the iZotope Resampler found in their RX bundle, or Goodhertz SRC found in Audiofile Engineering products such as Myriad (formerly Sample Manager) and Triumph. The last thing I’ll touch on in this article is the art of the digital vinyl pre-master. I’ve already written an extensive article on how important the lacquer cutting process is when pressing vinyl. I acknowledge that pressing vinyl on your own or with a small record label (especially for the first time) can be intimidating, confusing, and time consuming compared to a CD/digital release. I can see the attraction in just handing the entire project off to a broker, middleman, or pressing plant sales person and letting them deal with it all, but their job is really to sell plastic in a cardboard sleeve as quick, cheap, and easily as possible. This approach is usually not in the best interest of your audio quality. There are a few pressing plants that do good lacquer cutting in-house but that’s a rare exception. There is a critical step between your digital mastering engineer and the actual vinyl pressing, and that is the initial lacquer cut (or DMM for those pressing plants that use that process instead of lacquers). There are lacquer cutting engineers that specialize in this process that have no pressing plant affiliations. Their sole job is to transfer your digital vinyl pre-master to a production lacquer, which is the first step in the vinyl manufacturing process. From there, metal plates also known as stampers are made to do the actual vinyl pressing. All of these steps can have a major influence on the sound of your record and should not be overlooked. The best digital vinyl pre-master in the world can still be destroyed in the lacquer cutting process if it’s not carefully and skillfully done. I see too many clients take the cheap and easy way out and send their audio to a pressing plant or broker and let them handle the entire process. The digital vinyl pre-master typically translates best when it’s not pushed as loud as your digital master may be. The loudness of the actual vinyl result is not related to how loud the digital pre-master is. The length of the side, RPM and size of the record, and low frequency content are the biggest factors as to how loud and good your vinyl will sound. In fact, a digital vinyl pre-master that is very loud with high RMS level and low dynamic range can actually appear quiet and wimpy compared to something with a more natural dynamic range and RMS level. A good lacquer cutter will use their skills and knowledge to get the loudest lacquer cut before problems occur if a loud record is your goal. Cutting a lacquer at more conservative levels can minimize sibilance problems, distortion in general, and inner groove distortion on the end of longer playing sides. So unlike pressing CDs, there are still artistic decisions to be made after a mastering engineer like myself hands it off to the next person in the chain. I tend to create my vinyl pre-masters with more dynamic range and headroom for the lacquer cutter to work with. I remove the digital limiter from the chain in most cases. If I do leave it in, it’s not doing nearly as much as on the digital master. One potential problem is that depending on your workflow, removing the digital limiter can significantly change the balance of instruments and other things depending on how aggressive you have set the limiter. With a typical rock master, removing the limiter can make the drums seem louder and guitars seem quieter because the drum peaks are no longer getting chopped off so abruptly, and the feel of the album can become different. Aside from these overall level optimizations, I may do some more aggressive de-essing treatment in the center channel on the vinyl pre-master because sibilance that isn’t an issue in the digital world may cause cutting and playback issues in the vinyl world. One other important variable in the vinyl pre-master world is that lacquers can be cut from high resolution 24-bit files of any sample rate. I always make my vinyl pre-masters at the native sample rate of the mastering session (usually 88.2k or 96k) and they are one continuous file for each side to ensure the spacing between songs stays intact. This is how most lacquer cutters and pressing plants prefer to receive the audio. I also make a PDF file to accompany each audio file so the cutter knows where songs start and end; something that is not always as obvious as you’d think. There are a handful of pressing plants that for various reasons, ask the client to submit the vinyl pre-master on an audio CD. This is arguably bad because there is no need to reduce the audio to CD quality since vinyl being analog, has an infinite sample rate and bit-depth whereas CDs are stuck at 16-bit/44.1k sample rate. This is especially true if the lacquer cutter needs to apply some additional digital processing to your audio before cutting. 16-bit/44.1k is a lousy starting point for this. Staying hi-res at 24-bit or 32-bit float and the highest possible sample rate can go a long way. If you are going to spend the time and money to release your music on vinyl then I strongly recommend working with a lacquer cutter that can cut your lacquers from audio that is better than CD quality, and more importantly, somebody that you can communicate with and you know does good work. Like most things, there are lacquer cutters that specialize in certain styles of music. It would be worth finding out who cut some of your favorite sounding vinyl records. It’s a relatively small world if you research it. Most lacquer cutters are audiophiles that really care about your project and how it sounds in ways that a pressing plant may not have the time and resources to do so. The ideal scenario is using a lacquer cutter that your digital mastering engineer has a relationship with so all three parties can easily communicate regarding the goals and vision for the vinyl release. You wouldn’t send your unmastered mixes to a CD pressing plant, let them handle all the mastering, and do a few expensive and time consuming manufacturing steps before listening to it would you? One other benefit of using a lacquer cutter of your choice is the option to get a reference lacquer/test cut (not to be confused with test pressing) to hear what it sounds like before getting too deep into the project. If anything needs to change with the audio quality, this is the time and place to do it because at this point there is minimal time and cost involved to make changes relatively speaking. Most people wait until the test pressing to listen to their vinyl project, By the time the test pressings are made so many things have happened (lacquer cutting, plating, test pressing, and lots of waiting) that fixing anything at this point means major backtracking, and likely additional costs and delays. Because of all these variables, making a digital vinyl pre-master that translates well to the lacquer and ultimately the vinyl itself while still remaining true to the digital master has become an art in itself.